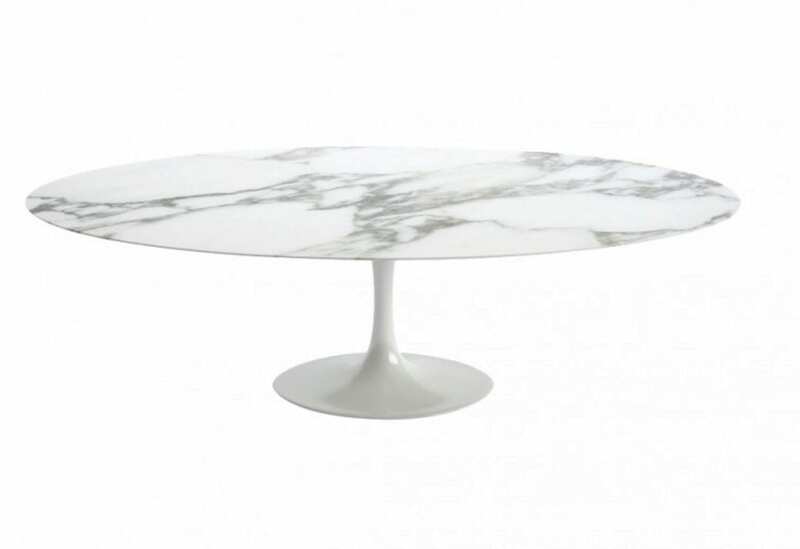 You’ve probably noticed that I’m rather keen on marble tables at the moment. I’ve been trying to buy ‘the right one’ for a couple of months now and I’ve had one rather special one slip through my fingers. Sob. I don’t know quite what it is about marble that’s caught my heart. I think its because its a raw natural material and that each piece it totally unique; like a finger print. 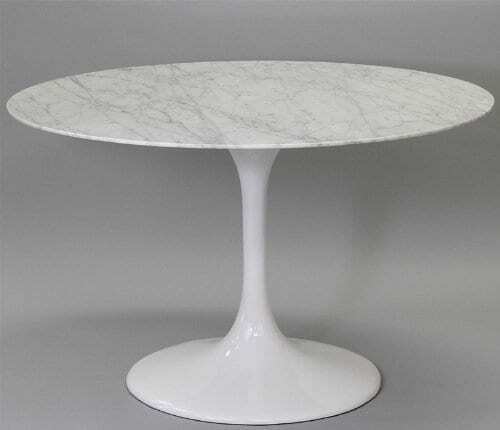 To me, a good piece of marble has strong veins running through it that give it character. It must be white at its core ideally, or grey and with lighter flecks. The problem I’ve faced in finding a table is two fold. A new one is VERY expensive. 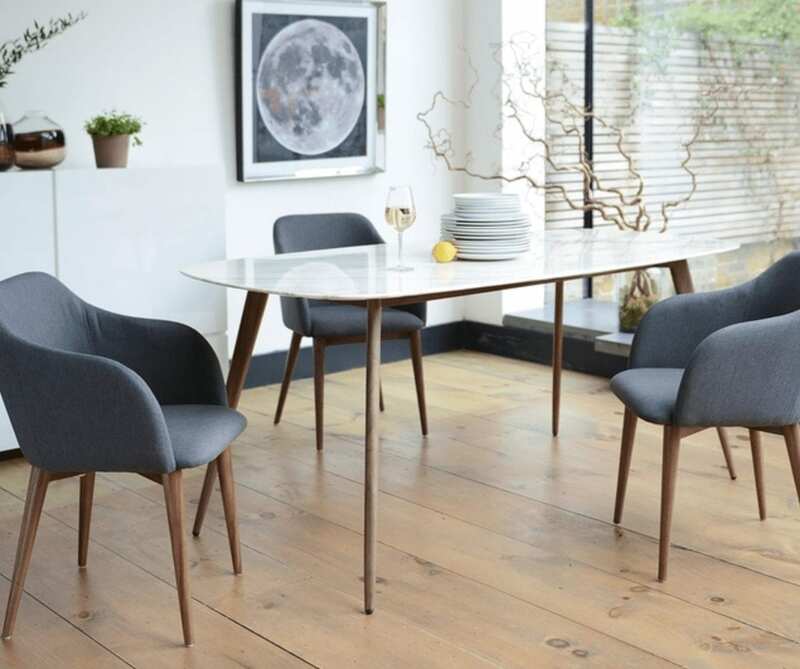 I’ve been looking from designer brands to craft suppliers and you’re looking at £2-£4,000 depending on its size – and I wanted a nice big one to be a statement piece in my dining room. The second issue, is that if you find a second hand one in good condition and at a reasonable price, you need to find a way to collect it. 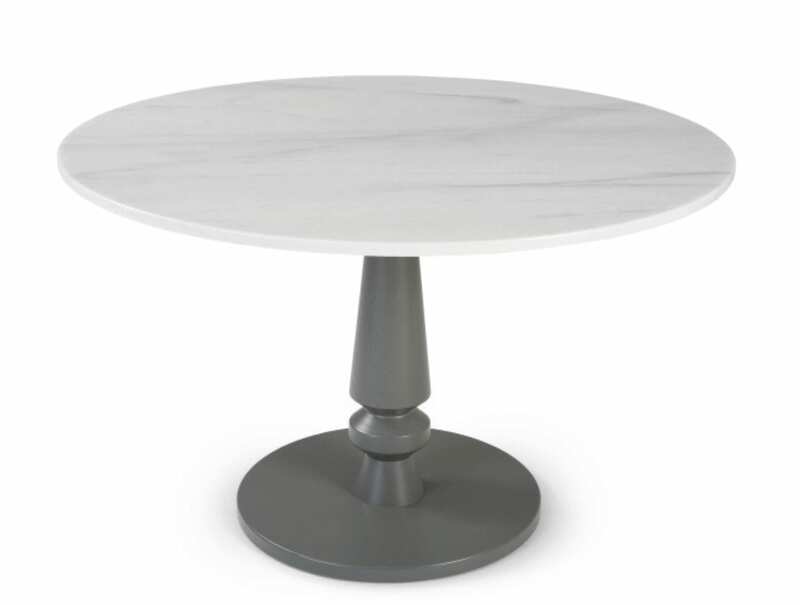 A good marble table is very heavy. The one I nearly had (like above) weighed over 30 stone! It’s not a standard courier job as it requires a few people plus maybe some equipment. So, when picking your table, make sure its right for you and that you’re going to actually be able to get it delivered. 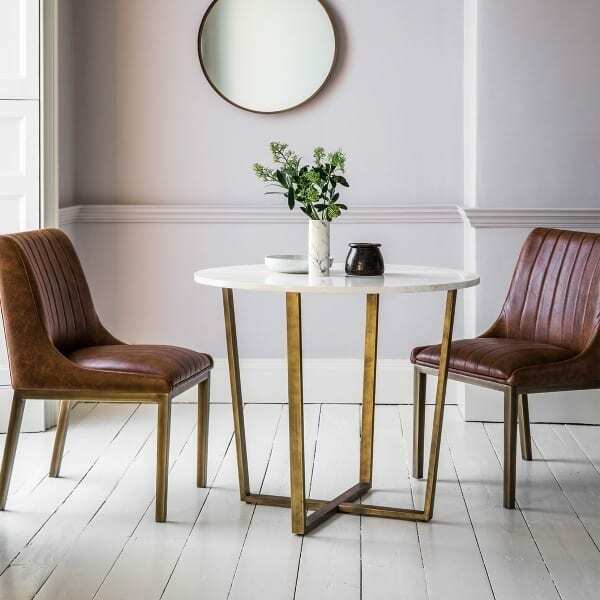 Here are a few new tables that obviously don’t come with that problem! Enjoy. 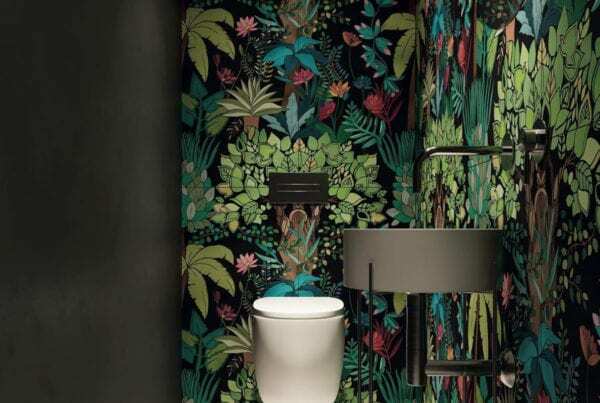 Florence Knoll was one of the great entrepreneurs of mid-century modern design. 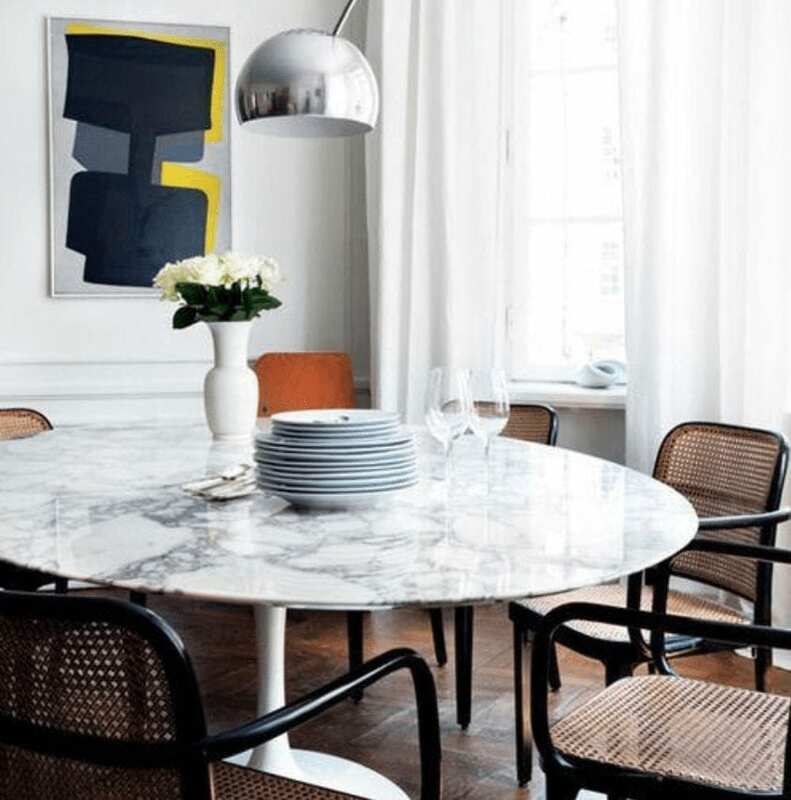 One of her most enduring projects was this marble dining table created for Knoll by designer Eero Saarinen, who vowed to address the “ugly, confusing, unrestful world” he observed underneath chairs and tables – a so-called “slum of legs.” This is the table of my dreams. There are some really lovely tables out there! 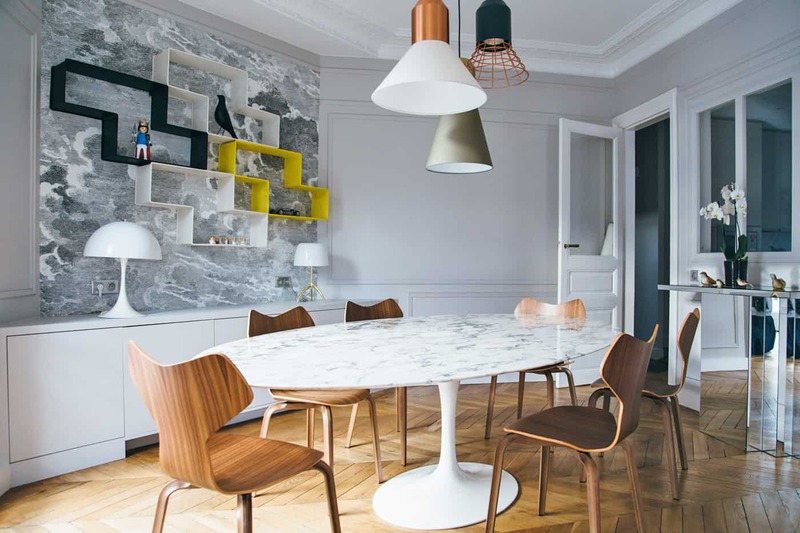 As marble as become popular, manufactures have been quick to offer a great choice. 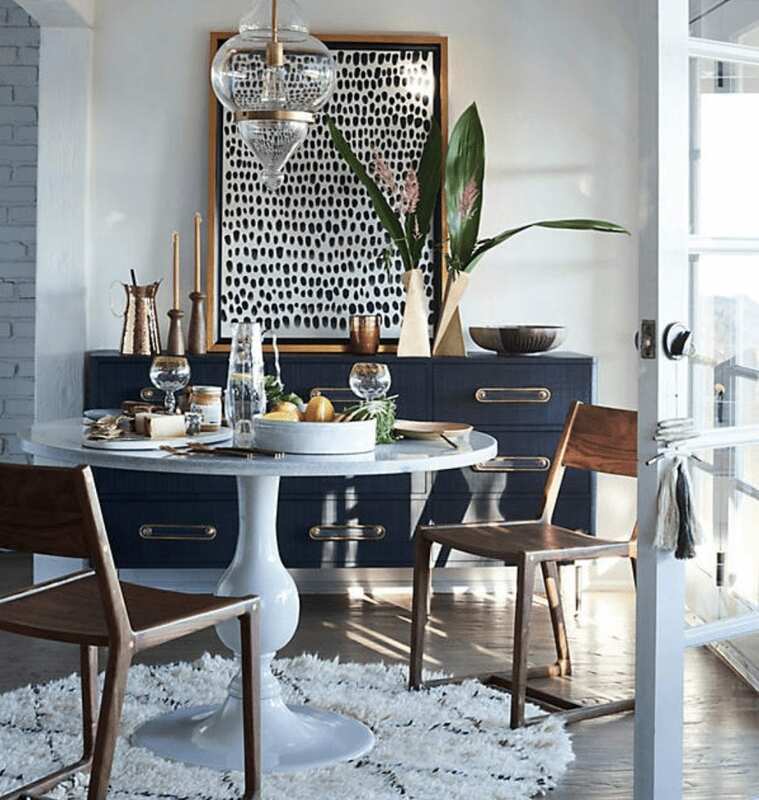 If you’re looking for some more inspiration, check out our Pinterest board below.